I can’t smell it anymore! What’s the difference between anosmia and olfactive fatigue? We’ve all been there: sharing an elevator or park bench with the sweetest little grandma you ever did see, all done up in her pearls and curls, and completely drowning in Shalimar — her signature perfume since Eisenhower was in office. Maybe she’s making a statement, about luxury or pride or beauty. Maybe she just loves bergamot and vanilla THAT MUCH. But probably she just doesn’t know her scent is so … intense. You can relate! You’ve been warming bar after bar of Sunkissed Citrus for years. It’s your go-to, your favorite Scentsy fragrance. But lately, no matter how many cubes of wax you add to your Warmer, it just doesn’t fill your space or lift your spirits like it used to — you KNOW it’s not as strong as it used to be. Are you and grandma anosmic or just suffering from good old olfactive fatigue? Commonly used in the medical world to describe an inability to detect a certain odor — usually linked to an injury, disease or genetic defect. In the fragrance industry, we also use anosmia to describe losing the ability to detect a certain scent due to lengthy overexposure. Our grandma above is suffering from anosmia — 50 years spent spritzing the same perfume can inhibit your ability to smell it. She wears too much because her nose can’t detect it anymore! The same is true of your Sunkissed Citrus love/obsession. This term suggests that after a brief period of time, anyone can simply “cleanse their palate” and once again perceive a fragrance after a period of overexposure. Remove the odor for a short amount of time, and your ability to smell it returns. Example: You need to take out the garbage. It’s stinking up the house. After a while, though, it doesn’t smell so bad and you forget to take it out before you leave for work. When you come home the stench hits you like a brick wall. You’ve just experienced olfactive fatigue! It’s actually quite cool. In both cases (unless anosmia is a long-term medical condition), the body actually filters out certain fragrances as a defense mechanism — primarily so we can continue to detect malodors (which can serve as a warning) such as spoiled food or smoke from a fire. The nose saves! Now that you know the problem, let’s talk about how to fix it. Olfactive fatigue = no big deal. It’s normal, and it happens to us all from time to time. Anosmia can be more permanent, but it doesn’t have to last forever. Try removing Sunkissed Citrus (or whatever fragrance you can’t seem to smell anymore) from your Warmer rotation for a few months. Also avoid any other fragrances that are heavy on the citrus, or other common notes. With any luck, you’ll be enjoying your favorite fragrance — in moderation — again soon! We offer a ton of fragrance variety at Scentsy to combat anosmia and olfactive fatigue. If you want to avoid feeling like you can’t smell your favorites, branch out! Your Consultant can help recommend new fragrances based on the scents you love. Related to this, a former consultant was sampling some of the new Fall/Winter 2015 fragrances. She made the same comment–“The scents aren’t as strong as they were before.” We were at her house, and she was able to dig up a few of the old testers (the really old ones–2.2 oz. ). She had Eskimo Kiss, Perfectly Pomegranate and Sticky Cinnamon Bun. I was shocked—after all the years those testers were in storage, the scents were stronger than the brand new 2015 testers. I didn’t know what to tell her! Any suggestions? We haven’t changed anything in the last year. The quantity of wax in the testers and tester size has changed, which would influence the fragrance strength. How the testers were stored would also have an influence on the scent strength. What is the best thing to tell those would be clients who have allergies to scents? Should we just leave it at that? There seem to be more and more. Some say it is contributed to by pesticides and other pollutants that are put into the air more and more all the time. Hi Tracy, we are sorry for the delay in responding to your question. We needed to contacted our legal department. Issues with allergies can be a very sensitive subject. Due to the reason that every case is unique when it comes to allergies, they requested that specific allergy questions be emailed to legal@scentsy.com. We just really want to avoid any misinformation and there are too many unknown factors to cover them all in one statement. I have old testers that are at least 6 years old. I keep them boxed ‘lid up’ in the dark (just how I store my bars), away from heat or venting. I also have the old testers and still grab one now and then to melt in my warmer. Some oils also tend to get stronger with age. I also think the old white tester lids were air tight more so than the window testers are. I am new to Scentsy and new to this site/blog I just have to say, THANK YOU! I love it! Great information. Hi Lillian! Welcome and thank you! How does scentsy compare to doterra? I’ve purchased dote era but never scentsy. Convince me the benefits over the competitor! DoTerra is focused more on the wellness application of the oils. 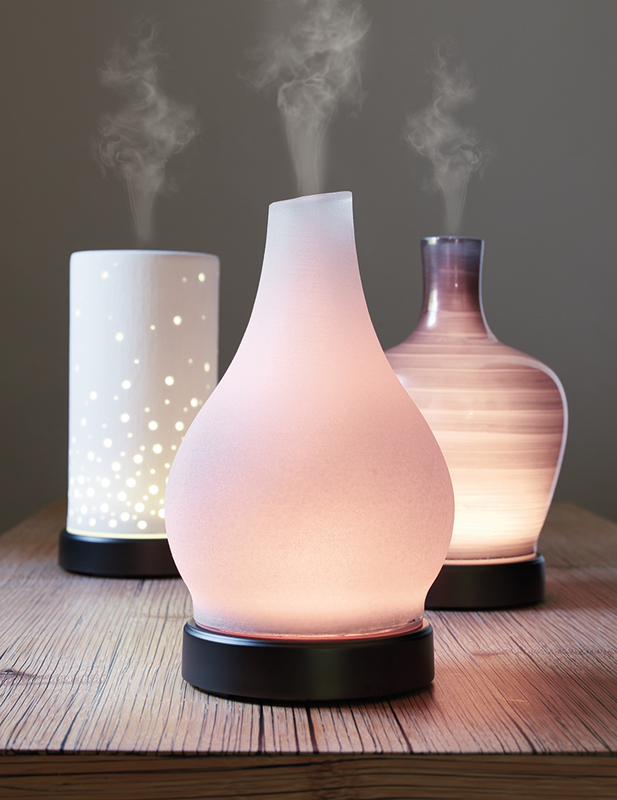 From their website “Essential oils can be used for a wide range of emotional and physical wellness applications.” Scentsy is all about fragrance and we specialize in the fragrance experience. Scentsy Oils are not designed to be ingested or applied topically, so they are not intended for this purpose. So really, it depends on how you would like to use your fragrance oils on which brand you would like to use. I use scentsy bars with a warmer an after awhile you have no more smells but you have lots of wax in the warmer. What do you do to help smell the scent again and be cost effecient? I have only used Scentsy in the last 9 months and from the very beginning they have never filled any of my rooms with fragrance. So it is not due to my over smelling of any particular fragrance!! They just don’t smell! My friends and I absolutely love Lemon Verbena which smells like lime. It is a fruity, and a bit stronger smell but you had once discontinued it but brought it back. Please keep it as a regular. It’s very refreshing and the room spray really cuts through if you have any dogs or cats or someone smokes. Thanks! We noticed in the last year or so that the bars just don’t smell as strongly as they used to. We asked our rep about it and she did not deny it, her response was to use more (ie double up on them). Huh ? So they effectively doubled the price if that is the case. I still see denial in the ranks of Scentsy reps on the web, don’t blame it on us, the product has definitely deteriorated.